The rapid changes in the tile industry mean that everything from tile sizes to widths continue to change. While some tiles are becoming longer and narrower, others are becoming increasingly wide, which requires specific installation techniques. The installation methods and materials that were used decades ago are very different to what qualified installers are using today. The changing shapes and materials of products mean that more technical installation materials are now needed. Longer tiles, for example, require installers know how to accommodate inherent warpage and lippage associated with large format tiles. A minimum mortar coverage of 80% in dry areas and 95% in wet areas such as showers or exterior areas is the industry standard. This refers to the contact area of the bonding material (thin-bed mortars, large and heavy tile mortars or epoxy adhesives) with both the back of the tile and the surface being tiled. Tile installers need to be familiar with the latest product developments and installation techniques. A tile installer that insists they have been installing tiles for decades without a problem should set off alarm bells, because many of the products being specified today weren’t available on the market five years ago, let alone decades ago. Placing tile in mortar and grouting simply isn’t sufficient, especially if the installation is in a wet area. A tile shower installation, for example, needs to be done in such a way that the rest of the home is not exposed to water intrusion from the shower. A shower in a home of four people handles about 45 times more water than the roof of a home in heavy rainfall areas, which shows the vast amount of water the tiles are exposed to. To successfully install tiles in areas with direct sunlight, industry standards need to be followed to ensure the sunlight-induced movement on tiles is accounted for and accommodated. When tiles are exposed to sunlight, it can lead to the tile lifting, usually in the centre of the floor, which is known as tenting. This situation is very expensive to remedy if the impact of the sunlight hasn’t been considered. The flatness of the substrate is also important, and to avoid lippage, the substrate has even less room for deviation when long and wide format tiles are being installed. Lippage occurs when one tile is either higher or lower than the adjacent tile. This higher tile is not only unacceptable aesthetically, but on floors it can be a trip hazard, which can result in an accident and potentially even a lawsuit. Installers are tasked with ensuring that patterns repeat regularly in an installation and that the proportions make sense. The grout joints throughout the installation should also be in alignment, because grout joints that vary in size can result in an unacceptably unsightly appearance. A tile manufacturer’s aesthetic classification chart should also be used for colour variation as well as to ensure that the installation resembles the tile sample board. This chart gives clients a visual guideline of how much colour and texture variation will occur in the tile, ranging from “VO” (very uniform and smooth in texture) to “V4” (substantially variable with random colour and texture differences from tile to tile). Experienced contractors know to view a larger sample board or dry-lay the tiles from a box to determine if the appearance is satisfactory. 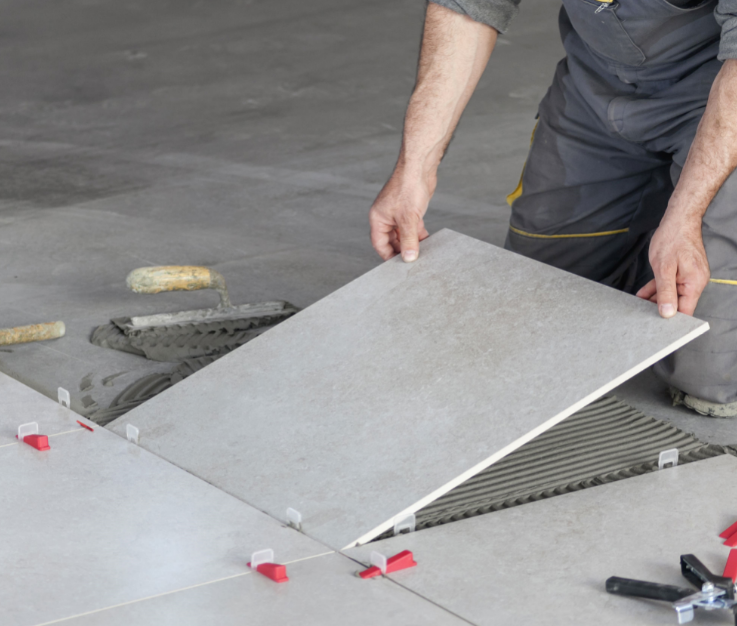 Installers who have demonstrated their commitment to the craft of tile installation, and take the time to stay current with the latest materials and methods, are more technically minded. Being a permanent installation, the job shouldn’t be given to the contractor who provides the lowest bid, but rather to the one who is most qualified to perform the scope of work. Qualified tile installers take their profession seriously and often belong to industry-recognised tile associations. Full thanks and acknowledgement are given to www.floordaily.net for some of the information in this article.